A StructuralModel object contains information about a structural analysis problem: the geometry, material properties, damping parameters, body loads, boundary loads, boundary constraints, initial displacement and velocity, and mesh. To create a StructuralModel object, use createpde, specifying the first argument 'structural'. Type of structural analysis, returned as one of these values. Geometry description, returned as AnalyticGeometry for a 2-D geometry or DiscreteGeometry for a 2-D and 3-D geometry. Create AnalyticGeometry using the geometryFromEdges function. For details, see AnalyticGeometry Properties. Create DiscreteGeometry using the importGeometry function or the geometryFromMesh function. For details, see DiscreteGeometry Properties. Material properties within the domain, returned as a StructuralMaterialAssignment object containing the material property assignments. For details, see StructuralMaterialAssignment Properties. To create the material properties assignments for your structural analysis model, use the structuralProperties function. Loads acting on the domain or subdomain, returned as a BodyLoadAssignment object containing body load assignments. For details, see BodyLoadAssignment Properties. To create body load assignments for your structural analysis model, use the structuralBodyLoad function. Structural loads and boundary conditions applied to the geometry, returned as a StructuralBC object containing the boundary condition assignments. For details, see StructuralBC Properties. To specify boundary conditions for your model, use the structuralBC function. To specify boundary loads, use structuralBoundaryLoad. Damping model for transient dynamic analysis, returned as a StructuralDampingAssignment object containing damping assignments. For details, see StructuralDampingAssignment Properties. To set damping parameters for your structural model, use the structuralDamping function. Reference temperature for a thermal load, specified as a number. The reference temperature corresponds to state of zero thermal stress of the model. The default value 0 implies that the thermal load is specified in terms of the temperature change and its derivatives. To specify the reference temperature for a thermal load in your static structural model, assign the property value directly, for example, structuralmodel.ReferenceTemperature = 10. To specify the thermal load itself, use the structuralBodyLoad function. Initial displacement and velocity, returned as a GeometricStructuralICs or NodalStructuralICs object. For details, see GeometricStructuralICs Properties and NodalStructuralICs Properties. 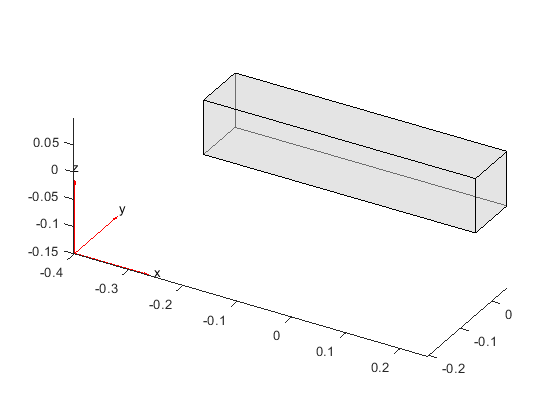 To set initial conditions for your transient structural model, use the structuralIC function. Mesh for solution, returned as a FEMesh object. For property details, see FEMesh Properties. To create the mesh, use the generateMesh function. Specify the gravity load on the rod. View the properties of structuralModel.